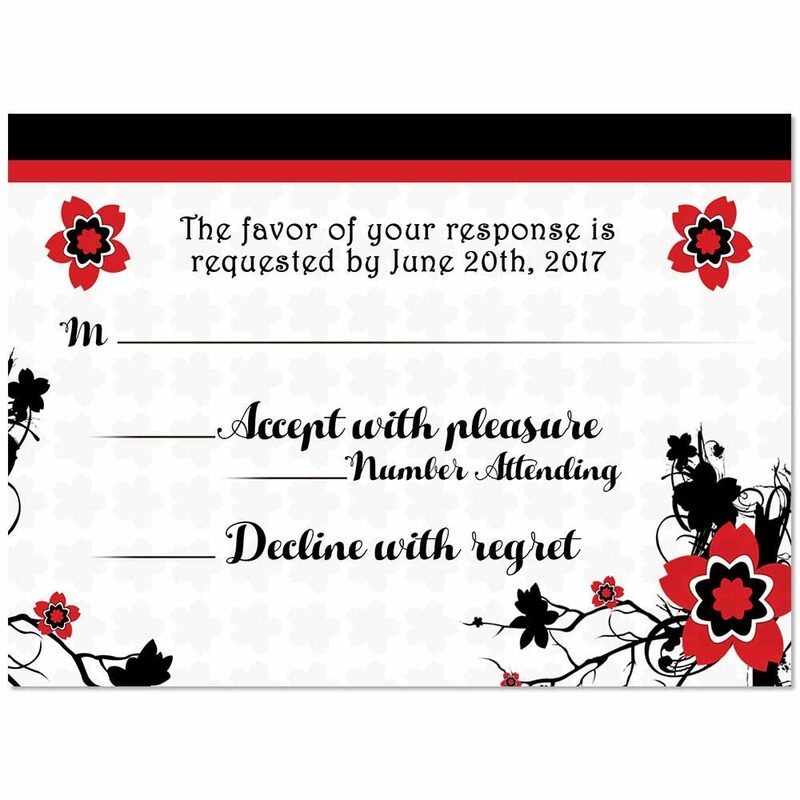 Elegant in style with traditional black and white colors accented by red Japanese cherry blossoms. 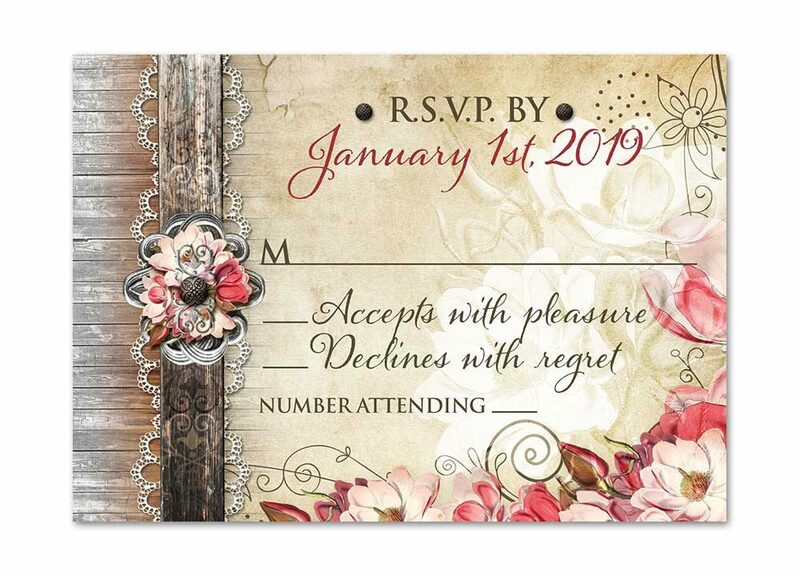 Our Japanese Cherry Blossom RSVP Response Card coordinates well with the matching wedding invitations and are definitely a head turner. 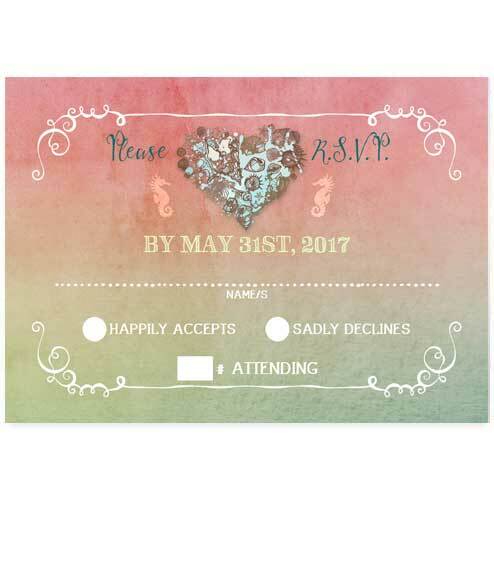 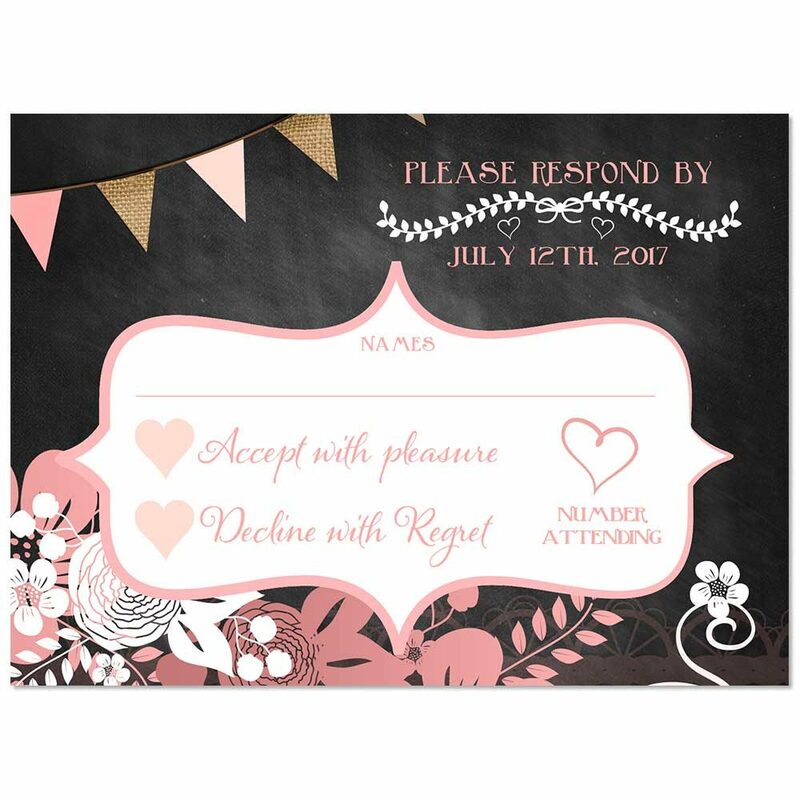 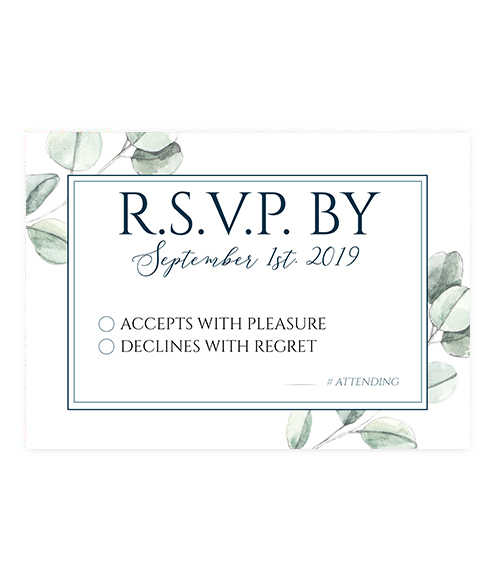 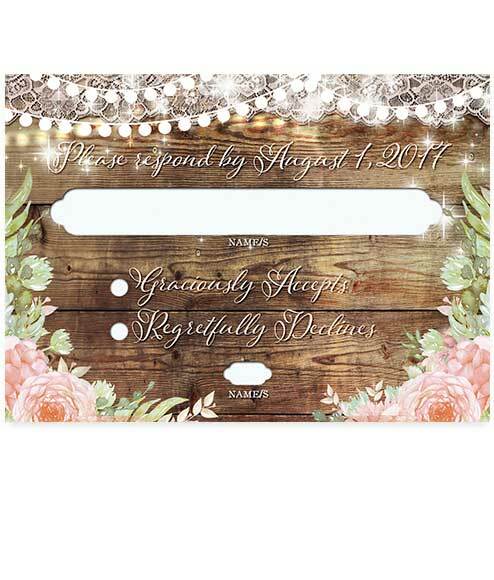 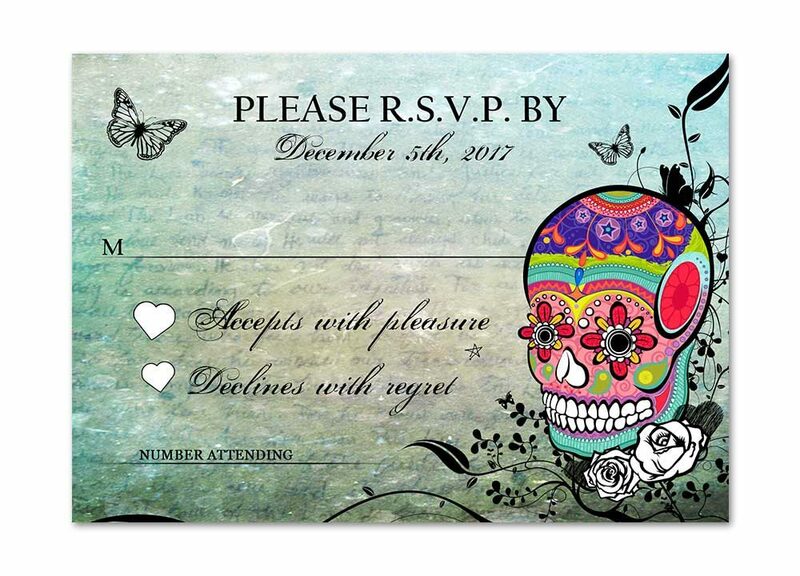 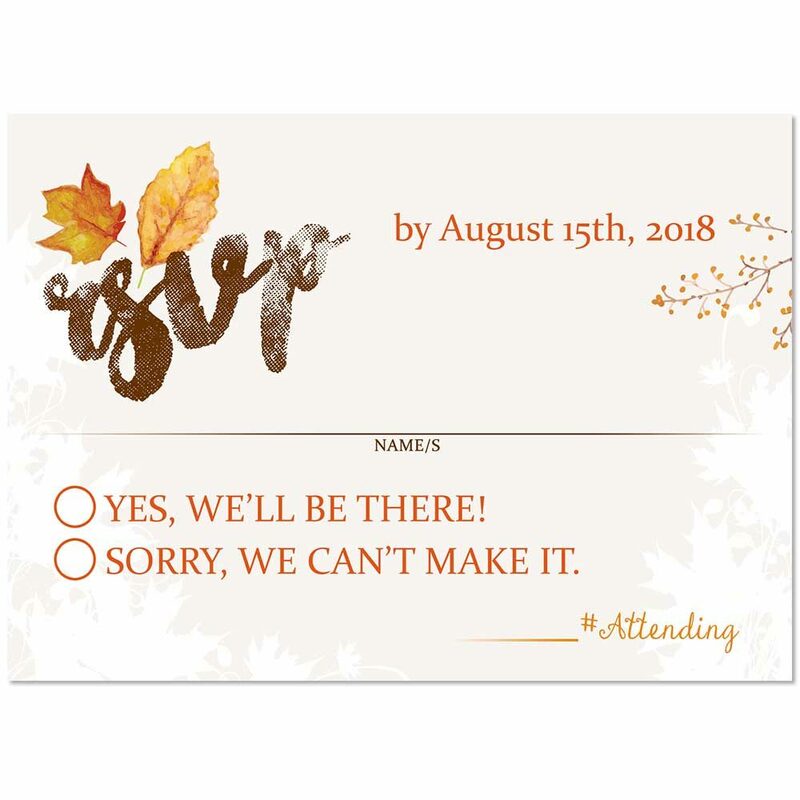 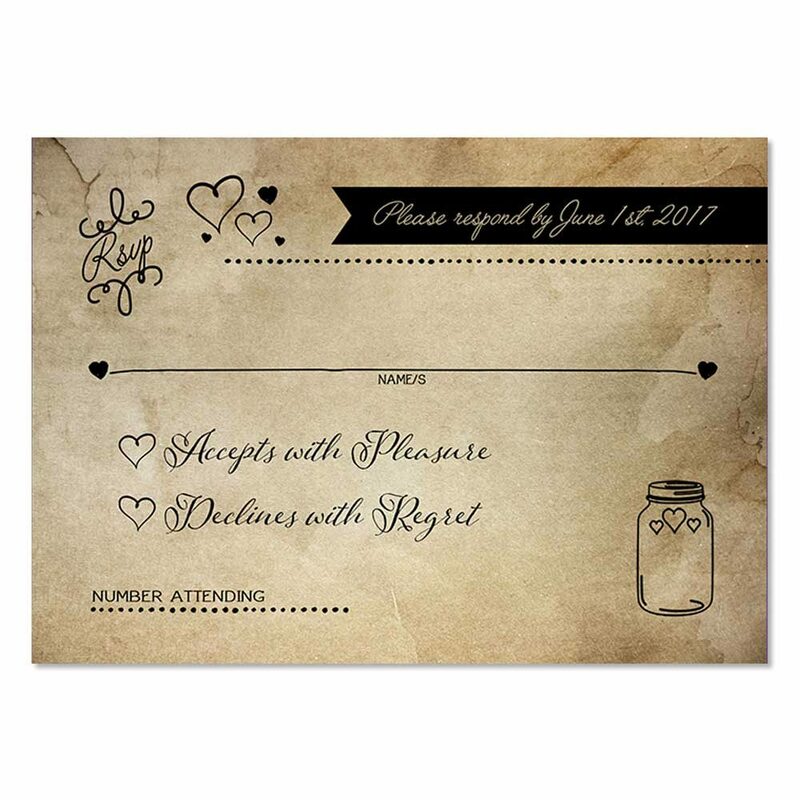 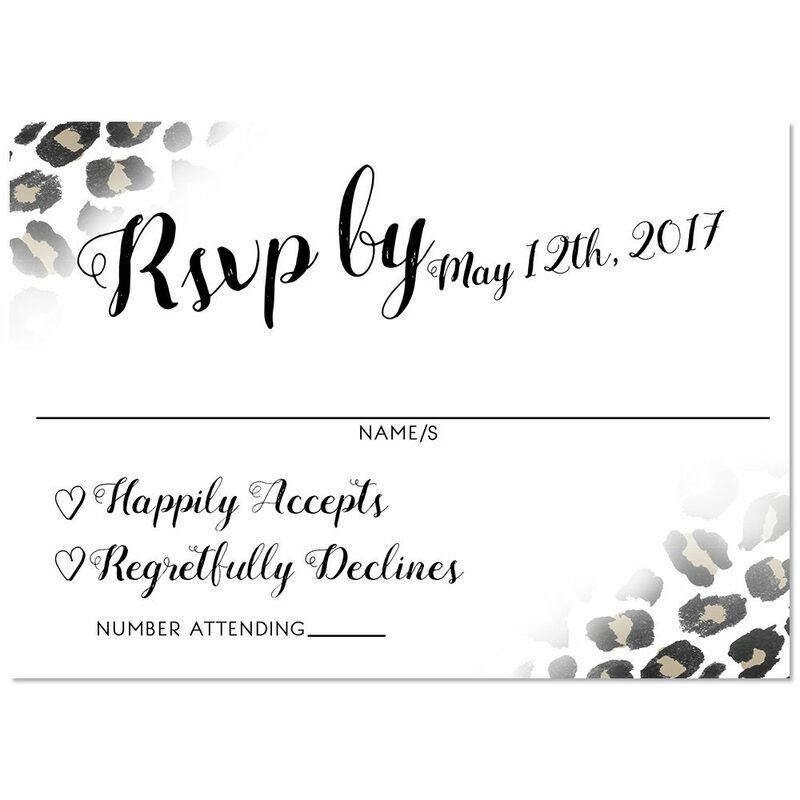 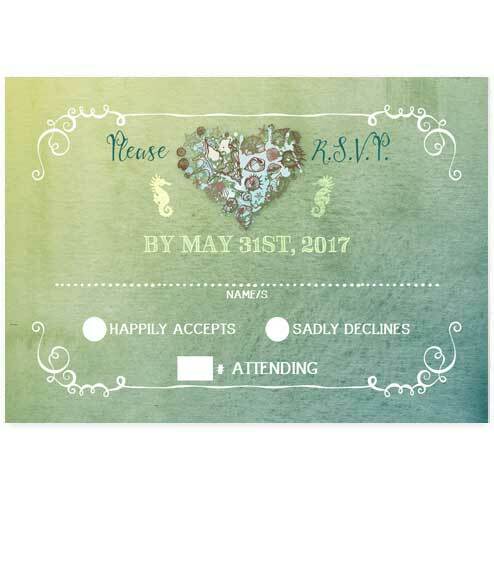 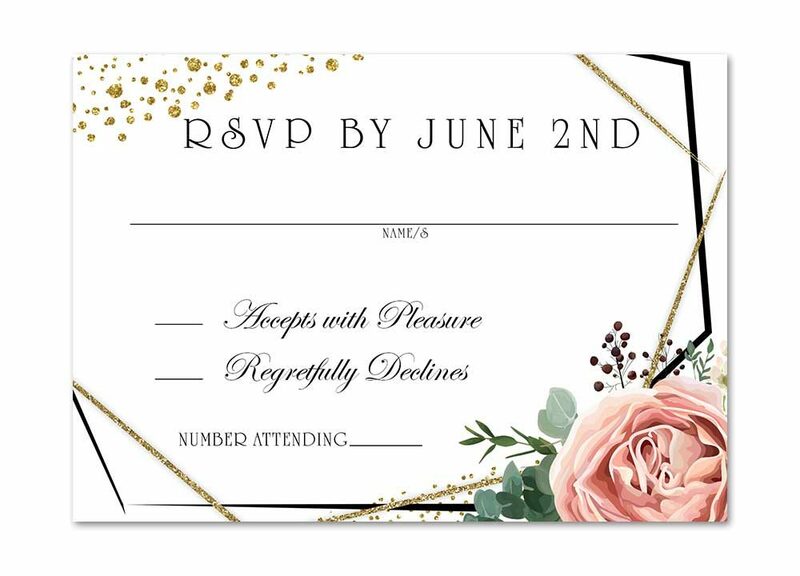 We customize them for you so that you get a unique piece of stationery for your wedding. 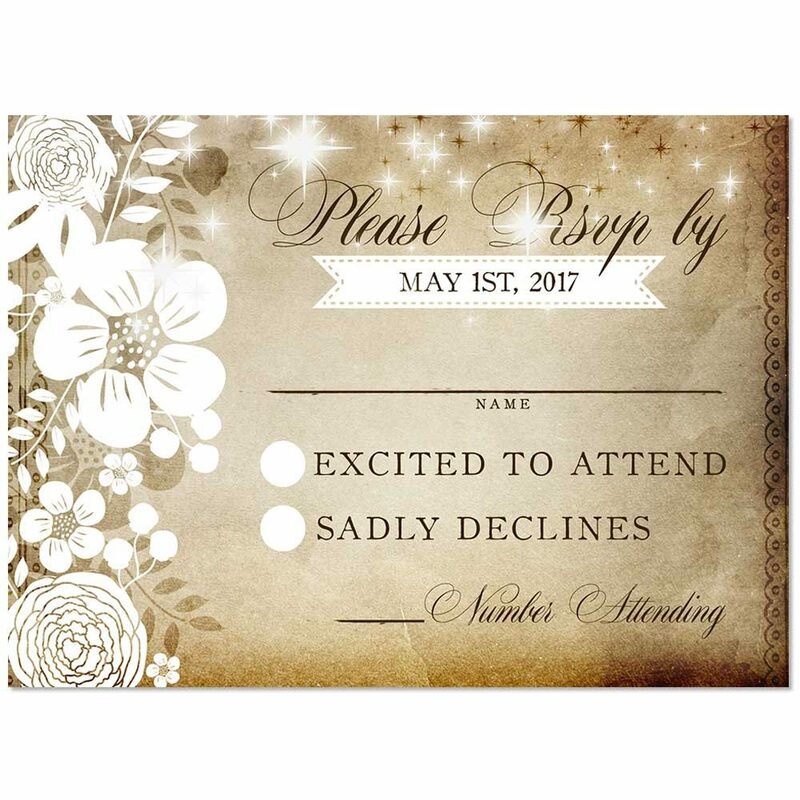 You are a romantic at heart and dream of carrying armfuls of vintage roses and a wedding day that’s carefree and magical. 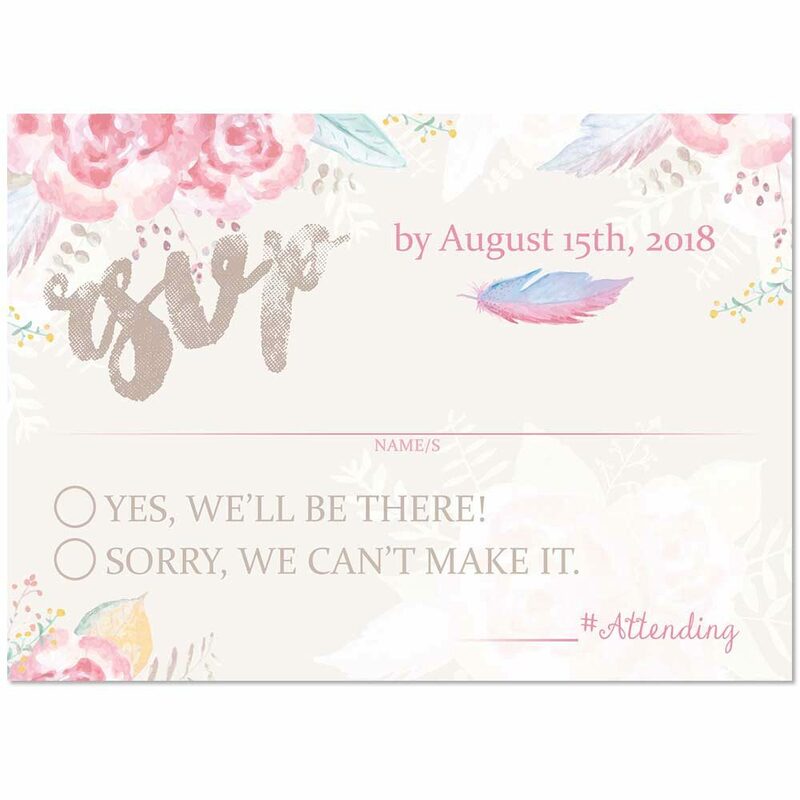 This Floral Pastel Watercolor design is perfect for outdoor garden weddings, backyard weddings or more casual affairs. 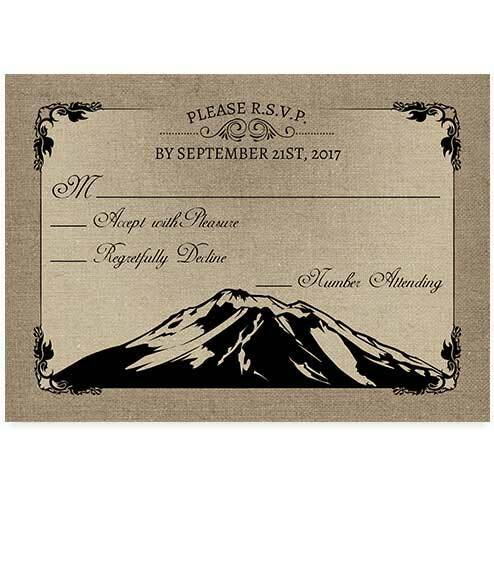 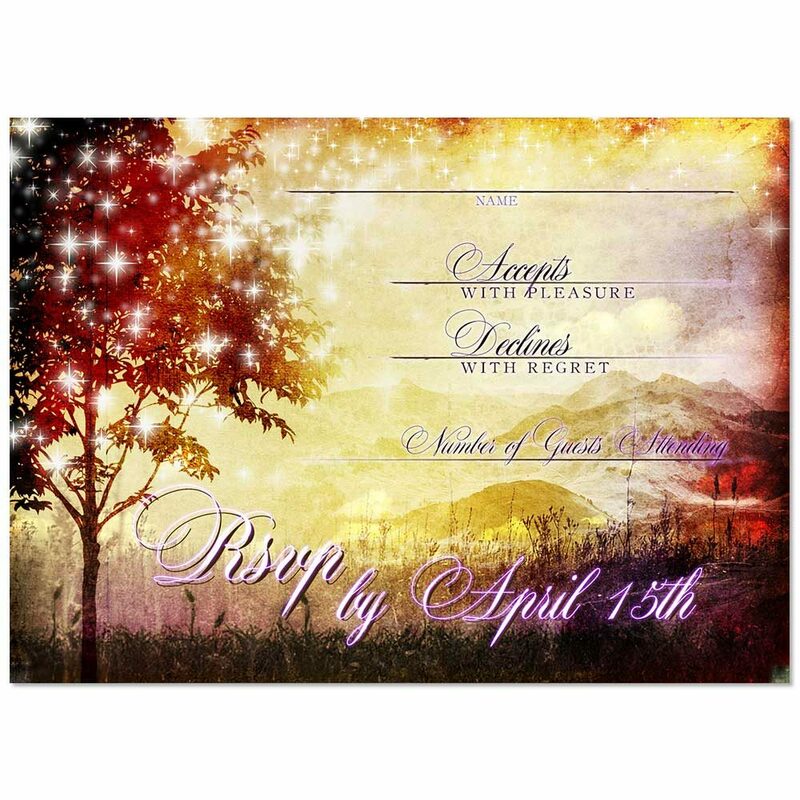 Express your creativity and love for the scenic outdoors when you choose our Mountain Themed Burlap Wedding RSVP Card and matching wedding invitation for your special day.